The Carson Valley is such a great place to live. Moderate Weather, beautiful mountain peaks and as many recreational things to do as I could imagine. OHV (Off Highway Vehicles) is my favorite Recreational past time that does not involve a boat on Lake Tahoe. And the Pine nut mountain range and BLM land to the East of The carson valley is an endless playground for such an activity. Roads, trails, desert landscape and on occasion a glimpse at a wild horse as they graze in the Nevada Wild landscape. 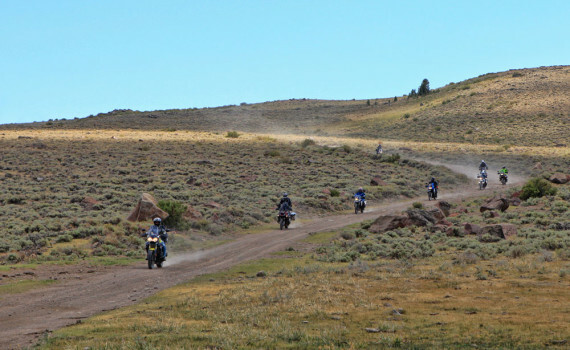 The Carson Valley Trail association recently opened the Pinyon Trail, a new trail for horses, Mountain Bikes and people to hike on the South East of the Valley. So it got me thinking, what are the best OHV trails in the area? Where are all the trails at? If I had a client that just moved here where would they find the local areas to ride their OHV. So here is a general list of Trail area in the region for OHV with directions. The trail starts at the end of Johnson Lane, approximately 3.9 miles east of U.S. Highway 395 in Minden. Johnson Lane becomes a dirt road and tuns into Sunrise Pass Road. The road connects to a number of trails. As you travel, you will pass Painted Rock on your left, approximately 1.9 miles from the end of Johnson Lane. You can proceed into mountainous terrain at this point of continue along Sunrise Pass Road over Sunrise Pass, which eventually leads to Wellington and Yerington. For further information and directions, stop by the Carson Valley Visitors Center. Switchback Mountain offers a variety of off road trails. Please stop in at Topaz Lodge for more information.